Spring has arrived! A season full of new beginnings, freshly mowed grass, crisp air and the start of beautiful balmy weather – we hope, this is the UK after all! 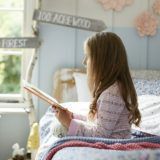 Whether you spent your days escaping away to a warmer climate for Easter, hiking through the nearest woodland forest or getting your home ready for the season ahead, Spring has the power to bring you out of your winter hideaway into the outdoors. At Christy HQ, we’re always looking forward to Spring. Partly because we are quickly becoming tired of the cold, wet days, but also because we get to experiment with bright colours and patterns which help to make your homes summer-ready! Our brand-new SS18 collection draws inspiration from the outdoors, both in the UK and overseas. Featuring bold colours and patterns, this season’s collection can help you to escape from the mundane and relaxxx. 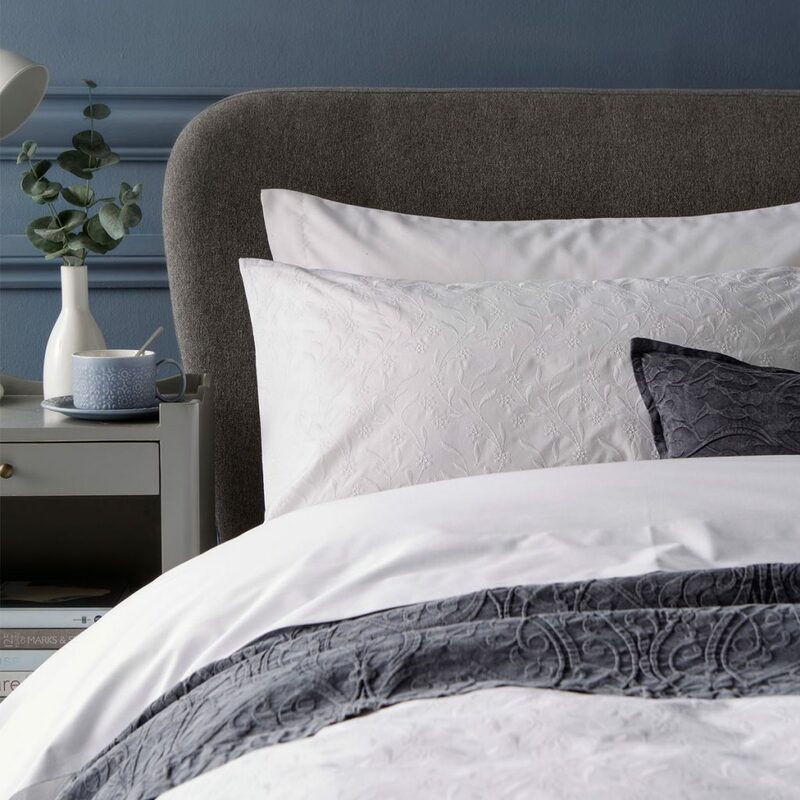 From oriental florals to minimalist French chic, our bed linens can easily transform your winter sanctuary to a summer escape. Discover a taster of our SS18 collection. 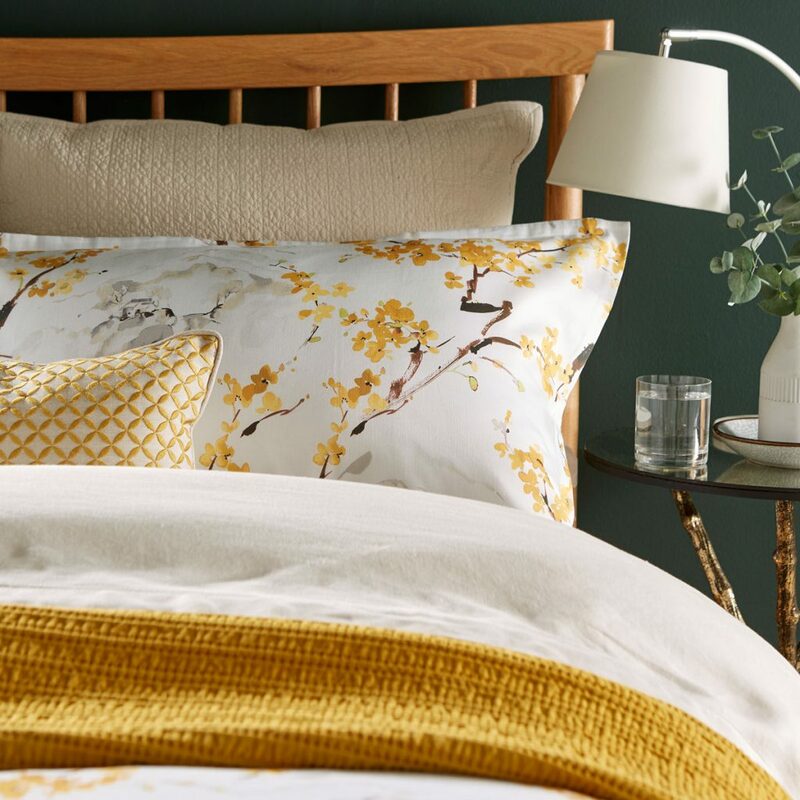 Tapping into vibrant yellows, Haruki in Ochre is this year’s essential, on-trend bed linen. 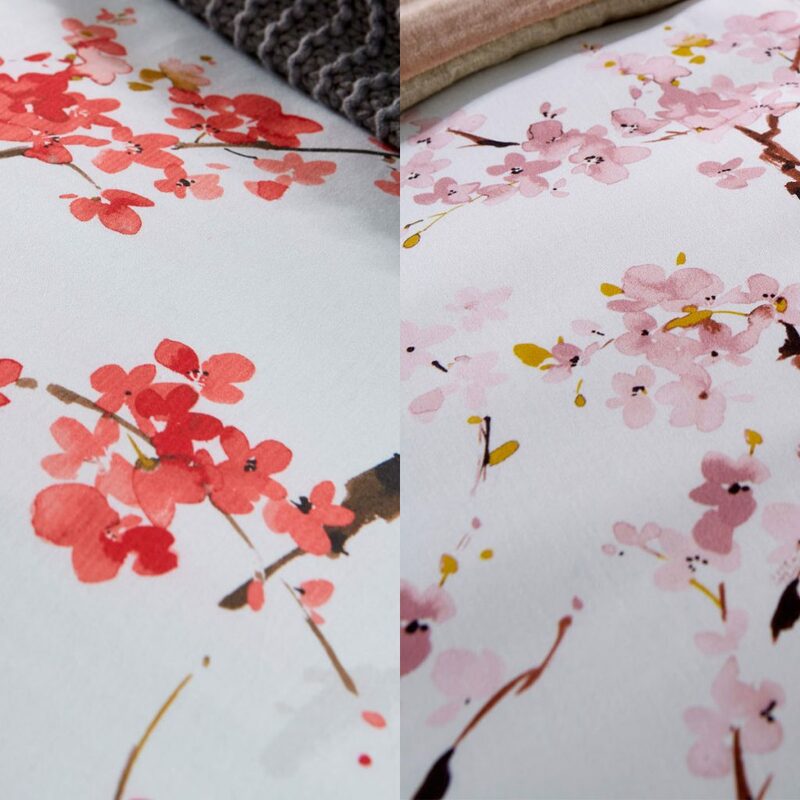 By capturing the beauty of the blossom tree, this design showcases intertwining branches through a watercolour masterpiece.The perfect base layer to creating a colourful getaway in your bedroom. 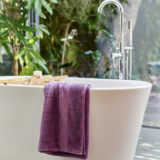 Also available in two additional colourways, Pink and Coral, this range is perfect for the bold and daring. Bedrooms are an expression of you. So if you are a fan of venturing into tropical paradises during your holidays, then this design is the perfect reflection of the summer you! 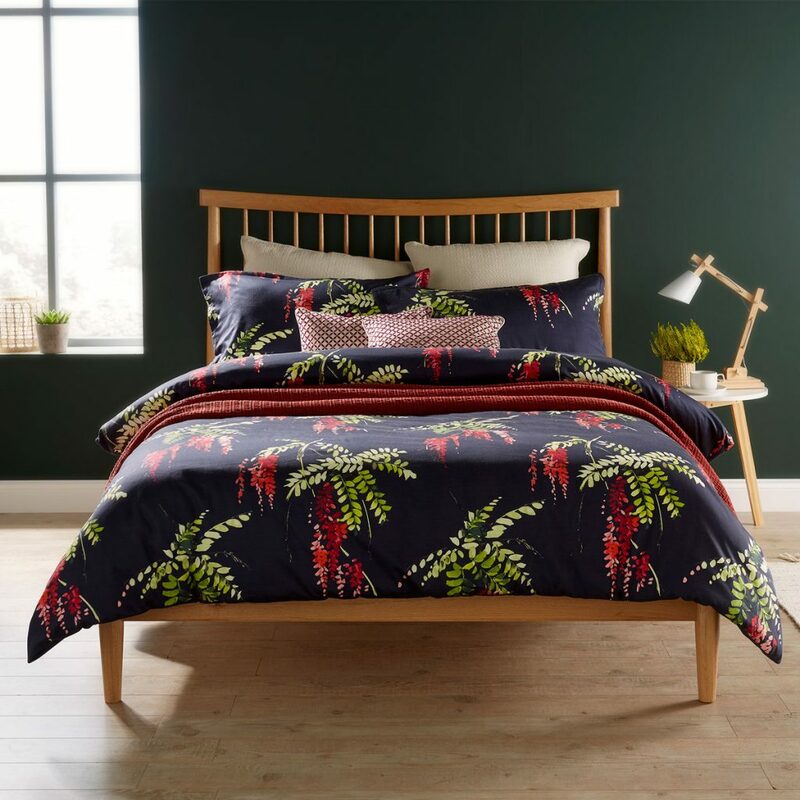 Styled with wooden décor, you can easily transform your bedroom into a secluded exotic escape. This digitally printed design showcases the wonders of woodland walks. Featuring tall trees and hidden stone castles, Prestbury can give your bedroom a classic-contemporary feel. 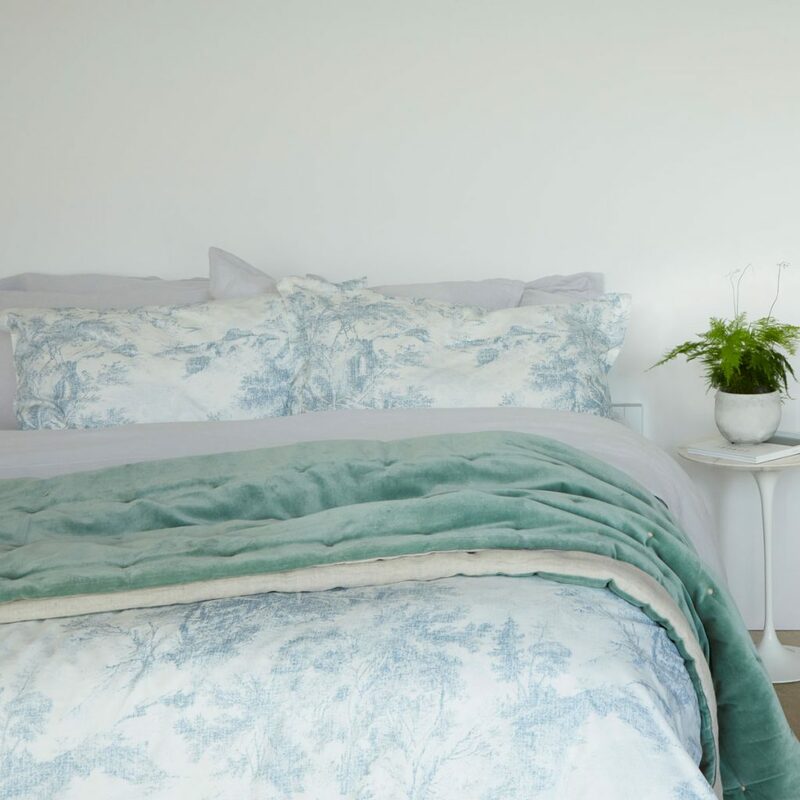 Placed in a plain white room and paired with our Jaipur accessories in Jade your bedroom can bring the woodlands indoors easily and elegantly. 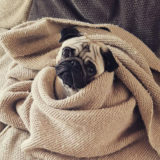 If your vibe is more along the lines of ‘less is more’ then Freya is this season’s ‘go to’ bedding for you. 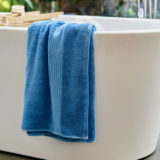 Tapping into sophisticated, vintage French style, this design is easy to dress with colourful throws and cushions, and can be incorporated into your room effortlessly. 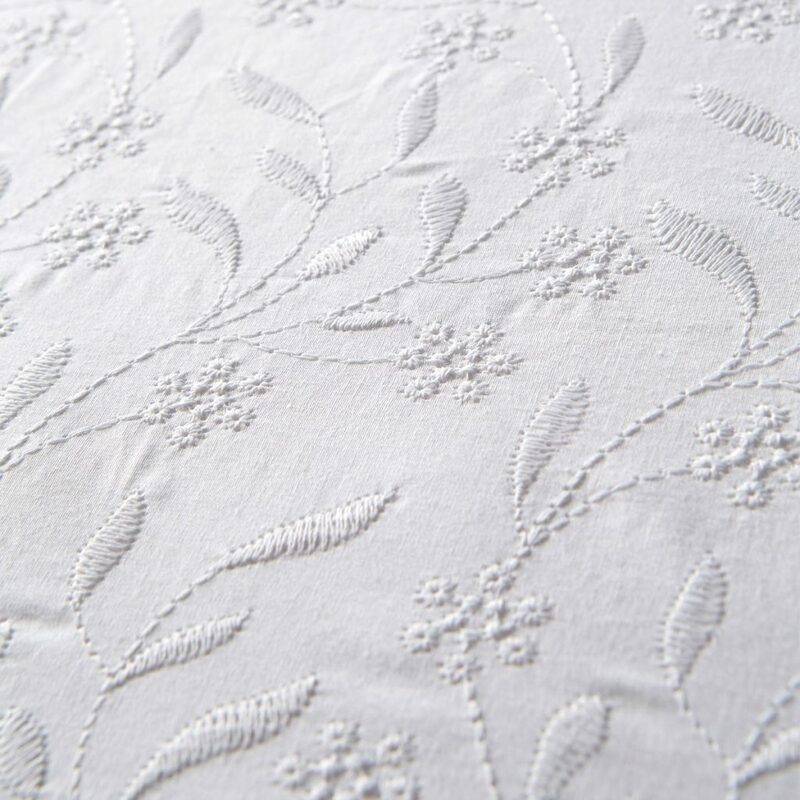 Detailed with small embroidered flowers, this design is minimal but far from boring! Let us know on Facebook, Twitter or Instagram what your favourite pick is from our Spring Summer 2018 collection using #MyChristy.